Romanian cities like Bucharest, Brașov, Constanța and others are rich in history and culture, and attract thousands of tourists each year. The city square of Timișoara, Romania. In 2014, Romania received over 1.9 million foreign tourists. This country is home to a number of historical, natural, and urban tourist attractions. Here, tourists can visit the Danube river, the Black Sea, the Carpathian mountains, and 6 UNESCO World Heritage Sites. This country is also home to Dracula’s castle, beautiful Romanian Orthodox churches, and medieval architecture throughout its cities. 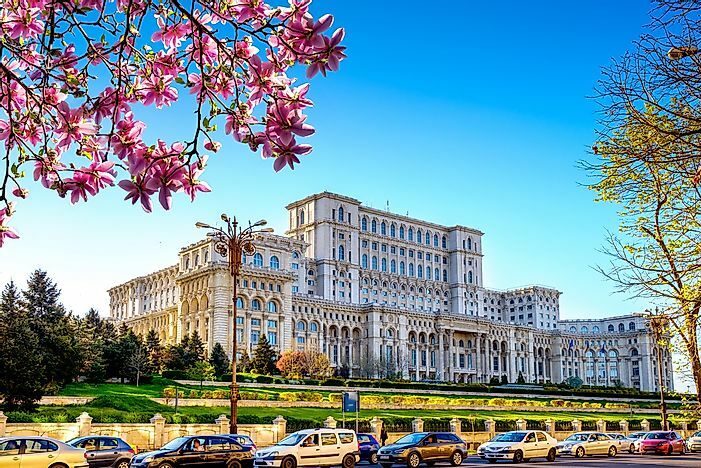 This article takes a closer look at the most visited cities in Romania. 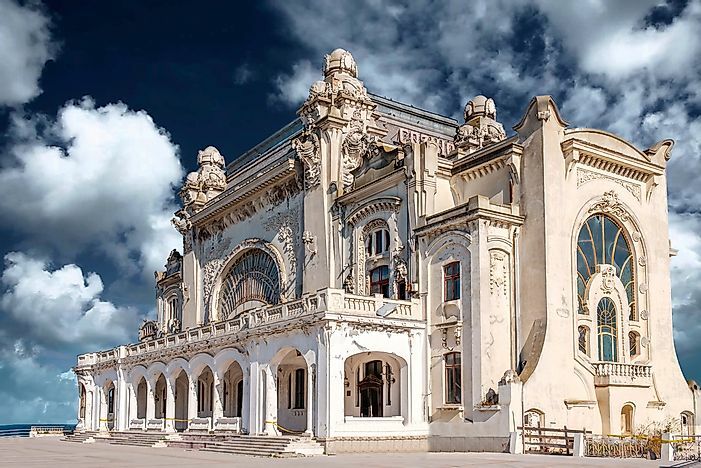 The famous Constanta Casino in Constanta, Romania. Constanta is located along the coast of the Black Sea and has a population size of 283,872. This city was established around 600 AD, making it the oldest continuously inhabited city in the country. Tourists come here for its archaeological ruins, museums, monuments, and beach. The Roman Mosaics can be found here, a 9,150-square foot building filled with mosaics that once served as the city’s commercial center. Other popular tourist attractions in Constanta include: the Hunkar Mosque, built around 1867; the St. Peter & Paul Orthodox Cathedral, which displays Greco Roman architecture; and the Genoese Lighthouse, built in 1860 in honor of the Genoese merchants of the 13th century. 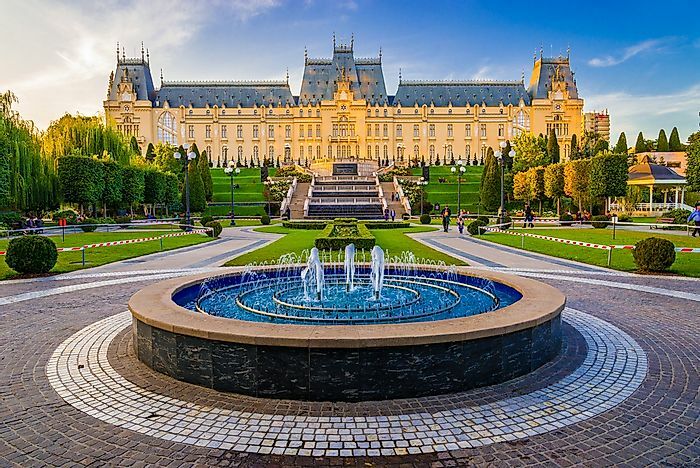 Iasi is located in eastern Romania in the Moldavia region and has a population size of 290,422. Archaeological evidence suggests this area was occupied by humans as far back as the 6th century AD, although its name was not recorded until 1408. This city is known as a cultural center of Romania and tourists come here to learn more its culture. One of the most popular attractions here is the Iasi National Theater, which is the oldest theater in the country. It was originally built in 1840 and today, reflects a Neoclassic style on the outside and Baroque and Rococo styles on the inside. This city also offers a number of museums, including: the Romanian Literature Museum, the Union Museum, and the Natural History Museum. Additionally, the Palace of Culture is popular with tourists and is listed on the National Register of Historic Monuments. It was built in a Neo-Gothic style between 1906 and 1907 and covers an area of 368,510 square feet. It is home to 4 museums and a number of other attractions. A major square in Timișoara. 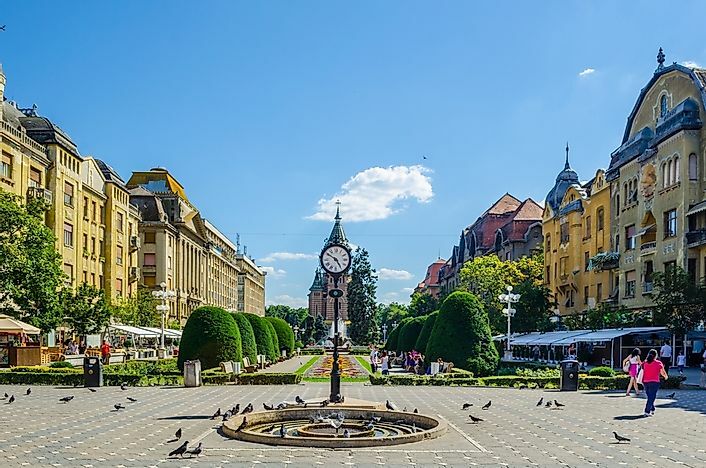 Timisoara is located in western Romania and has a population size of 319,279. It is a popular tourist destination due to its historic neighborhoods, unique architecture, and multiple festivals. 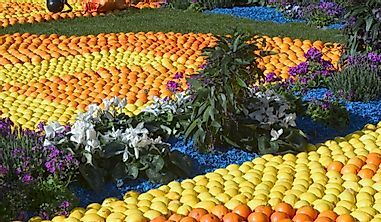 These festivals range from literature to cinema and music to art. Many tourists to this city enjoy visiting its many synagogues, cathedrals, and palaces. 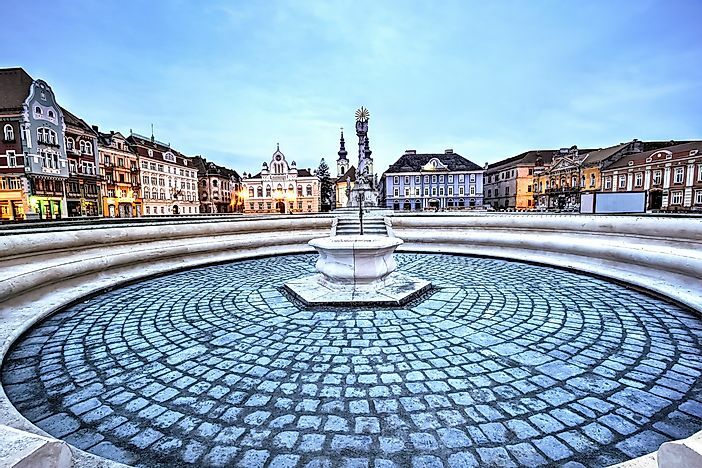 Additionally, Timisoara is home to several city squares, perhaps the most famous of which is Saint George square. For those visitors interested in royal lifestyles, a visit to Huniade Castle is a good trip. This castle was built between 1443 and 1447 to take the place of the old 14th century castle. Today, it is home to the History and Natural Sciences section of the Banat Museum. 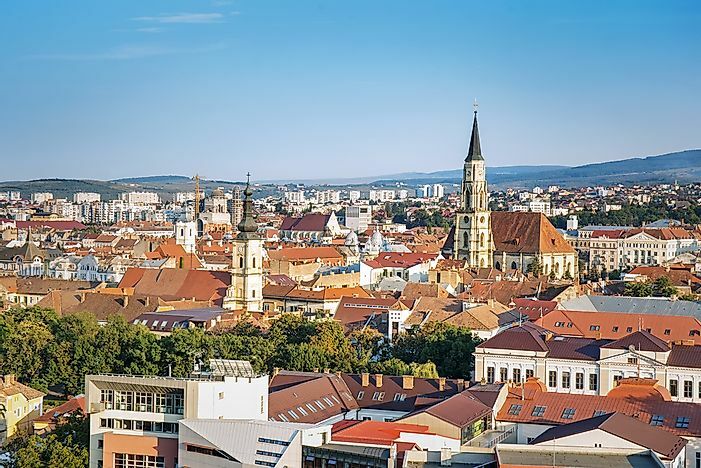 Cluj-Napoca is located in the northwestern region of Romania and has a population size of 324,576. 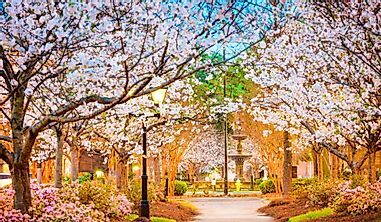 After suffering a period of political and economic downturn in the 1990s, this city is now recognized as an important historical, cultural, academic, and business hub in the country. It is home to the Babes-Bolyai University, the largest in Romania and its diverse culture is displayed through the wide range of activities here, from theater to visual arts. 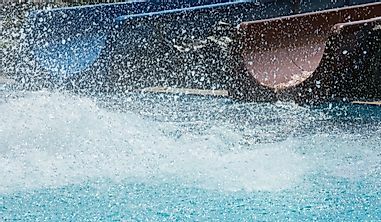 The most popular place to take part in these activities is the National Museum of Art, which today, can be found in Baroque-style former palace of Count Banffy. Cluj-Napoca is also home to the Saint Michael’s Church, a Gothic-style building built in the 14th century. In the 19th century, the Neo-Gothic bell tower was added to the church, making it the tallest church tower in Romania. Some of the most well known monuments around the city include: the statue of Avram Iancu, the Central Park fountain, and the statue of Matthias Corvinus. 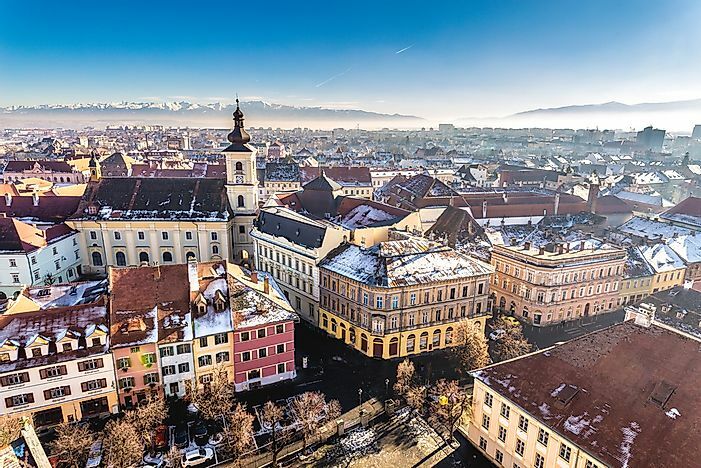 Sibiu is located in the Transylvania region of Romania and has a population size of around 147,245. 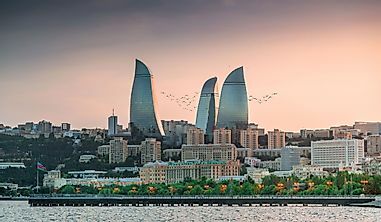 This city lies along the Cibin river and in 2007 was nominated as the European Capital of Culture for the year, which drew a large number of tourists from around the world. 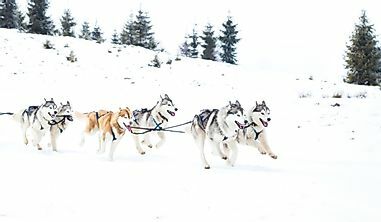 This city offers well-preserved Medieval-era military fortifications and is near the Fagaras mountains, which are popular for their hiking opportunities and ski resorts. In order to check out the fortifications, one of the best ways is to head to the southeastern section of the city. These fortifications are connected by a number of passageways and tunnels. Visitors to Sibiu also enjoy visiting the Grand Square, one of the largest in Transylvania. The Brukenthal Palace, built in the late 1700s, is located in this square and holds the National Brukenthal Museum, which is one of the oldest in the world. Since 2007, Sibius has held a traditional Christmas market, which is the first in Romania and considered one of the most beautiful in Europe. A view of Brașov, Romania. 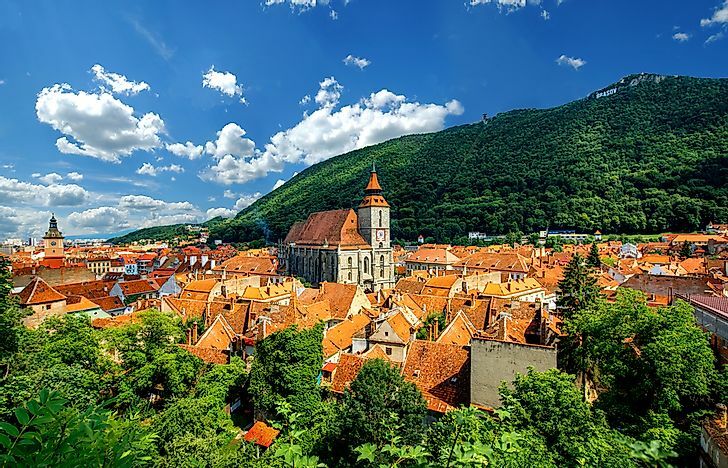 Brasov is located in the central region of Romania. It is surrounded by the Carpathian mountains and has a population size of 369,896. This is a popular tourist destination because its central location makes reaching other areas in the country easy for travelers. Some of these nearby attractions include the monasteries of Moldavia and the wooden churches of Maramures. 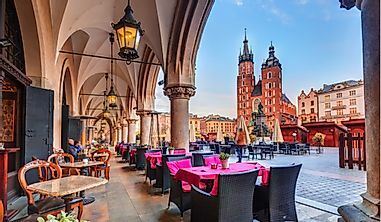 In the city, tourists can visit several sites, including: the Rope Street, the narrowest street in Romania; Catherine’s Gate, the only medieval-era city gate; the Black Church, a Gothic style building; and the Bran Castle, also known as Dracula’s Castle. The Palace of Parliament, Bucharest. Bucharest, the capital of Romania, is located in the southeast region of the country and has a population size of over 2.1 million, making it the country’s largest city. One of the most popular areas within the city is the historic city center and one of the most well-known buildings is the Palace of the Parliament, which is the largest in the world. It houses the National Museum of Contemporary Art. Other popular museums include: the National Museum of Art of Romania, the National History Museum, and the Military Museum. The Dimitrie Gusti National Village Museum offers a unique take on a museum visit; it is an outdoor museum located in Herastrau Park and has 272 farm houses from the different regions of Romania.